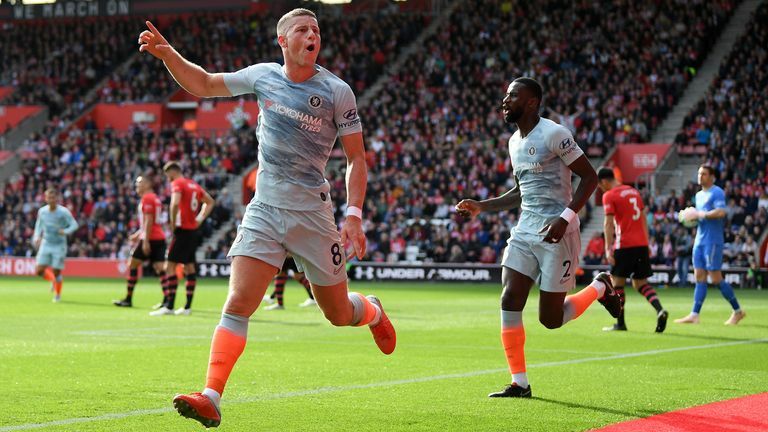 The Premier League returns after the international break with a bang as Jose Mourinho takes Manchester United to his former side Chelsea on Saturday lunchtime, live on Sky Sports. 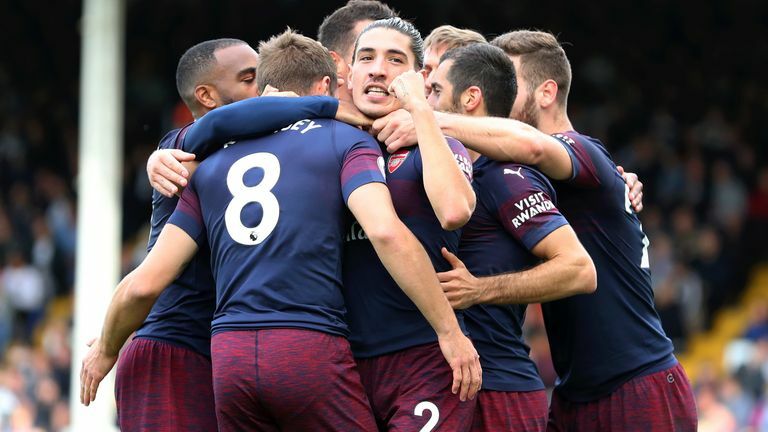 The live action continues on Super Sunday as Everton take on Crystal Palace at Goodison Park before Arsenal look to make it 10 successive wins when they face Leicester at the Emirates Stadium on Monday Night Football. Pick the full-time results in our six Saturday selections - get them right and net yourself £1m! 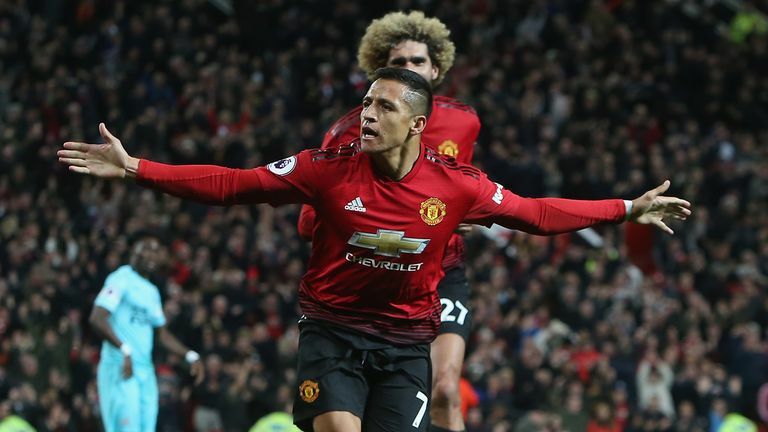 Over the years I've always said Manchester United turn up for these big games and seem to be able to grind it out, but at the moment they let in far too many goals. Their result against Newcastle covered over all the cracks. I've got to go with Chelsea, I think they will be too strong for United. Highlights from Manchester United's win over Newcastle in the Premier League. If United do lose, the pressure will almost certainly crank up again on Jose Mourinho. At the start of the season, we were talking about them being in the title race but now they are fighting for the top four. They are seven points off the top of the table at the moment and with a defeat on Saturday the gap could increase to 10, that's good night in terms of the title race. Pick your dream six-a-side team from Chelsea v Man Utd for a chance to win £1,000. Nine wins in a row is some going at any standard of football. The confidence must be really high at Arsenal. There have been games they shouldn't of won to be honest but they rode their luck and come through the other side. Highlights from Arsenal's emphatic win over Fulham in the Premier League. The thing is Arsenal, with the forward line they have, will always score goals. I watched Leicester against Everton and I just can't see how Arsenal won't score goals. Everton caused them so many problems at the back. Arsenal will let in goals, there's no getting away from that, but you'd expect them to get a few on Monday. If they get three against Leicester that will be enough. This is a tricky game to call. Bournemouth are a funny team. They are a football pundit's nightmare if I'm being honest because you do not know what you are going to get. One week they are ripping teams apart and then they go to Burnley and get beat by four. Then they go to Watford and win by four, they are just one of those teams. Highlights from Chelsea's win against Southampton in the Premier League. Southampton are also a hard team to predict. They were getting on top against Wolves a few weeks ago but suffered a 2-0 defeat. They are now without a win in four games in the league but I'm backing them to get something against their south coast neighbours. Predict the scoreline for Bournemouth v Southampton with Sky Sports Super 6 this Saturday for a chance to win £1m. This is a must-win game for Cardiff. If they don't win this game I think they will really struggle to beat the drop. I know people will say there are 29 games left but for me, it will be difficult for Cardiff to turn things around. 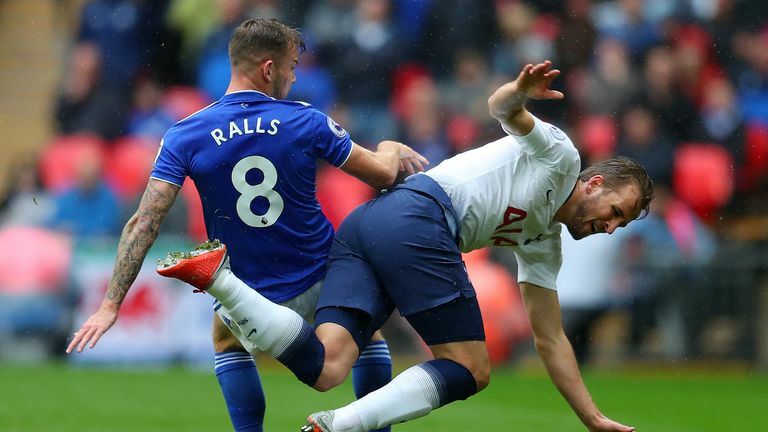 Highlights of Tottenham's win over Cardiff in the Premier League. Fulham also need a result but they are away from home and the pressure will be firmly on Cardiff, who haven't won a game all season. I know Fulham went to Cardiff last year in the Championship and won but I think Cardiff could bully them this time around. They'll cause Fulham, who are a bit flimsy at times, problems at the back and that's why I'm backing a home win. Predict the scoreline for Cardiff v Fulham with Sky Sports Super 6 this Saturday for a chance to win £1m. This is a nightmare game for Burnley. For Sean Dyche, it's a game you just want to get out of the way and start again afterwards. If Manchester City turn up hot, the scoreline could make uncomfortable reading for Burnley. Predict the scoreline for Manchester City v Burnley with Sky Sports Super 6 this Saturday for a chance to win £1m. 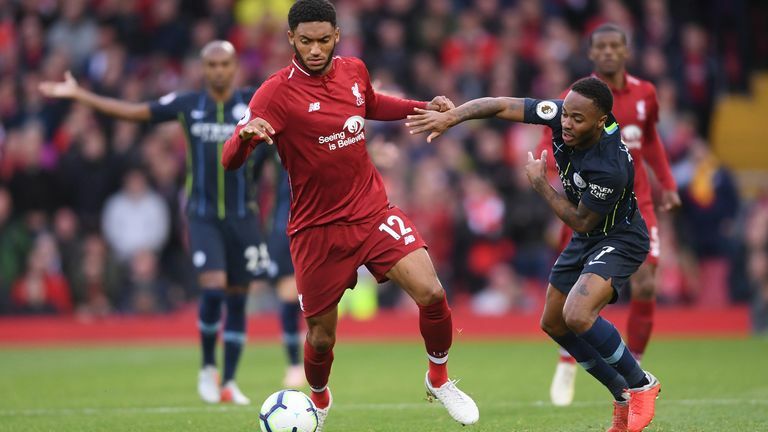 Highlights from Liverpool's goalless draw against Manchester City in the Premier League. I watched Newcastle three weeks ago against Leicester and they had one shot on target from 60 yards. Then they go to Manchester United and they should have got something from the game. They'll be kicking themselves that they didn't get a positive result at Old Trafford. That defeat will have hurt but they can take positives from what was, on the whole, a good performance. Brighton are not the best side away from the Amex Stadium. If I'm being totally honest they are very, very poor on the road. For that reason I'm going to side with Newcastle in what will be like a cup final for them. It's a must win for Rafael Benitez and his side. Predict the scoreline for Newcastle v Brighton with Sky Sports Super 6 this Saturday for a chance to win £1m. 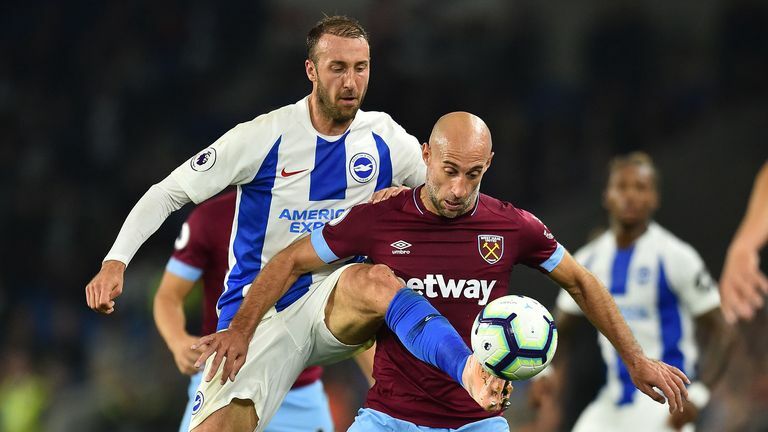 Highlights of Brighton's victory over West Ham in the Premier League. I don't worry about West Ham in the big games at the London Stadium. Games like this one against Tottenham, it looks after itself. It's the games against the likes of Wolves and Bournemouth - two games they lost earlier in the season - that are of concern. However, like against Manchester United, the fans will be up for this one and they don't have to go and chase the game. West Ham can play on the counter against Spurs and that suits them. I'd be shocked if West Ham lost this game. Tottenham haven't been in great form and they've had a lot of players away on international duty. Christian Eriksen is a huge miss for Spurs. He's a bit of an unsung hero for Mauricio Pochettino's side because he knits everything together from the midfield. I'm going to go for a draw as I don't see West Ham losing this game. If I had to pick a winner I'd go with the Hammers. Predict the scoreline for West Ham v Tottenham with Sky Sports Super 6 this Saturday for a chance to win £1m. 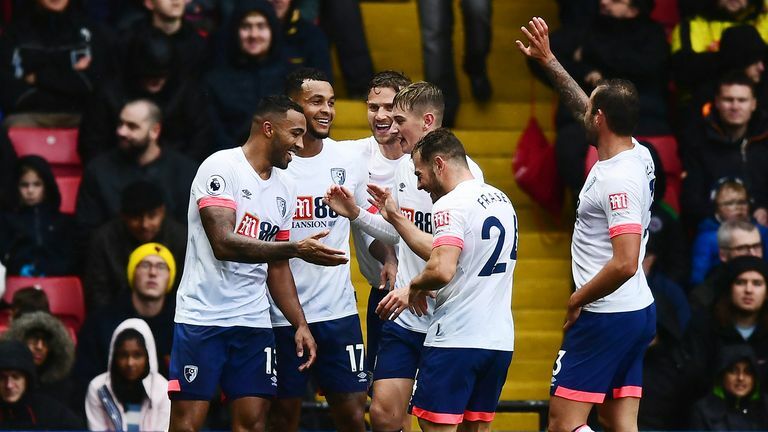 Highlights of Bournemouth's win against Watford in the Premier League. There are a few injury problems for Liverpool to deal with heading to Huddersfield. Jurgen Klopp gets his side playing at such a high tempo and they play pretty much the same team every week so they are always likely to pick up injuries. They have and it seems they have all come at the same time. However, I still think they'll have too much for Huddersfield. If you are going to have injuries this is the perfect game to have them. You don't want to be playing Manchester United or Chelsea away with an injury crisis. Liverpool will be too strong for Huddersfield. I just don't see David Wagner's side scoring and that's their problem.